The piano is a fun instrument and great for beginners! Shopno is having so much fun in his piano lessons! 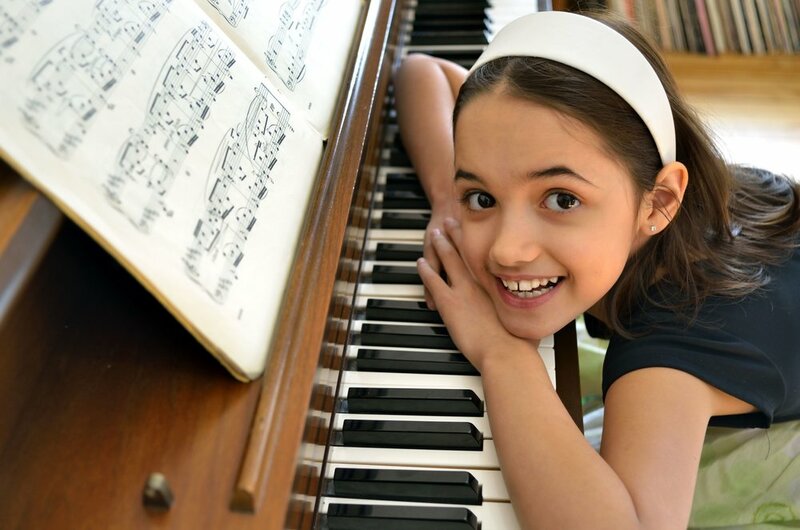 We provide private piano lessons for students ages 4-94! Piano and Keyboard Lessons at United Conservatory of Music Fresno prepare students to achieve technical proficiency and musical excellence. Our curriculum emphasizes balanced posture, beautiful tone production, musicianship skills, and leads students through a sequential body of repertoire. Piano lessons are one of the best introductions to music! Our Piano Instructors are very skilled and hold either, bachelor or masters degrees in music. Our teachers implement various methods in their teaching style including Alfred's and the traditional conservatory style which incorporates scales, etudes, sight reading, and appropriate repertoire based on the student's level and theory. In addition to weekly lessons, many of UCM's students participate in our Chamber Music and Group Lesson program. The benefits are immense for growth and is a very enjoyable experience. We also provide Group Piano Classes in the weekends! Request Info now to find out more!